Arrival day at the Lakefront Anchorage Hotel on Lake Spenard, five minutes from Ted Stevens International Airport. Welcome Cocktail in the hotel bar at 8pm for those who arrive in time. Fly aboard a float plane from King Salmon to Brooks Falls, a short 20-minute flight. 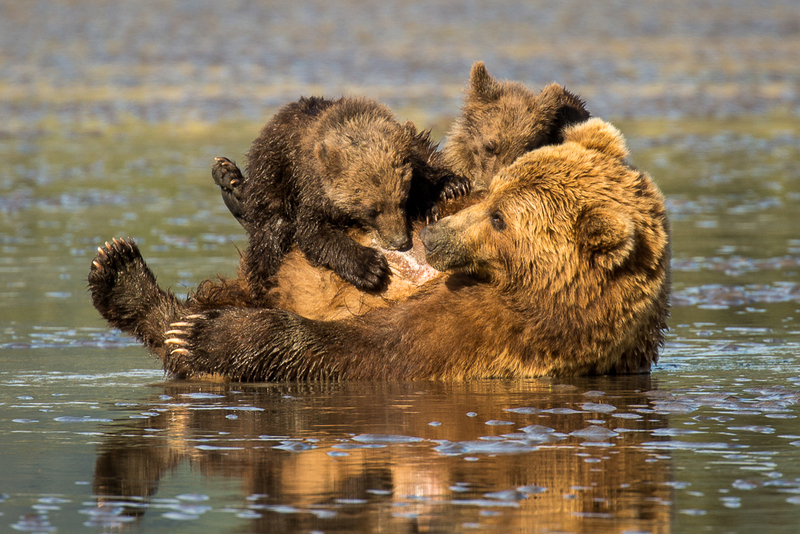 Katmai National Park is spectacular from the air and we'll have six chances at aerial photography - with everyone getting a chance to ride co-pilot - as we fly in and out of Brooks each day. Spend the day shooting fishing bears at the falls as the salmon swim upstream to their spawning grounds. Return to King Salmon Lodge via floatplane for a relaxing dinner in a lovely setting. Photographing bears from a platform at the falls is an experience uniquely different to photographing bears in the wild without restrictions. At the same time, one only needs to look at the photos to see the positives far outweigh the negatives. The platform closes at 7pm and we can mount the platform as often as time (and people) allow. When photographing wildlife it's important to book an extra day to allow changes in weather, animal behavior and, in this case, platform crowds. If everything has been in our favor, there is an option on this day to either return to Brooks Falls or to visit The Valley of Ten Thousand Smokes, a different region of Katmai and a great place for landscapes. Return flight to Anchorage at 5pm, arriving 8-8:30pm. Late dinner. Breakfast with Goldstar Service aboard the Coastal Classic Train from Anchorage to Seward, ranked one of the TOP TEN TRAIN RIDES in North America by National Geographic Traveler. The 4-hour scenic journey features glass-domed ceilings, full service dining and upper-level outdoor viewing platforms - perfect for photography! Explore scenic Resurrection Bay aboard a private barge while photographing resident and migratory whales and birds, seals, otters and incredible scenery (Four hours). Take a behind-the-scenes tour of the Alaska Sealife Center, Alaska's only public aquarium and camera-friendly marine wildlife rescue center. Drive from Seward to Homer with lunch along the way. Fly from Homer by float plane to the ISLAND C, a research ship and our home for the next five days, anchored in Kukak Bay on the Katmai Coast. 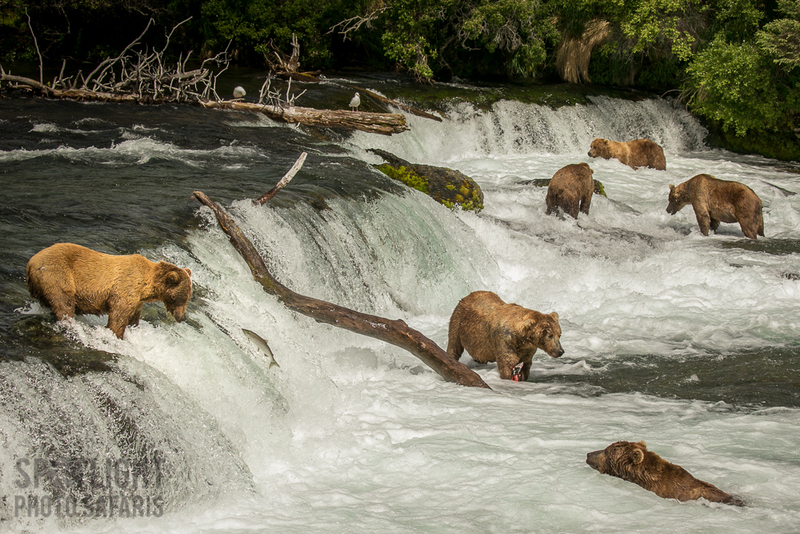 Explore the Katmai Coast - Hallo Bay, Kukak Bay and/or Geographic Harbor with land excursions to shoot fishing bears. After dinner we’ll head for the Kodiak Coast, arriving in the morning. Early morning cruise for marine life, whales in particular. Flight from Kodiak to Anchorage to connect with flight home. I encourage you to start compiling a list of things you wish to discuss and learn during the workshop. We know your goal is to 'capture the magic' and improve your photography, and we're here to ensure you do both.